Marcus Claudius Tacitus Augustus was Roman Emperor from 275 to 276. He circulated copies of the historian Gaius Cornelius Tacitus' work, which was barely read at the time, and so we perhaps have him to thank for the partial survival of Tacitus' work. His claimed descent from the historian is most likely a fabrication, however. In the course of his long life he discharged the duties of various civil offices, including that of consul in 273, with universal respect. 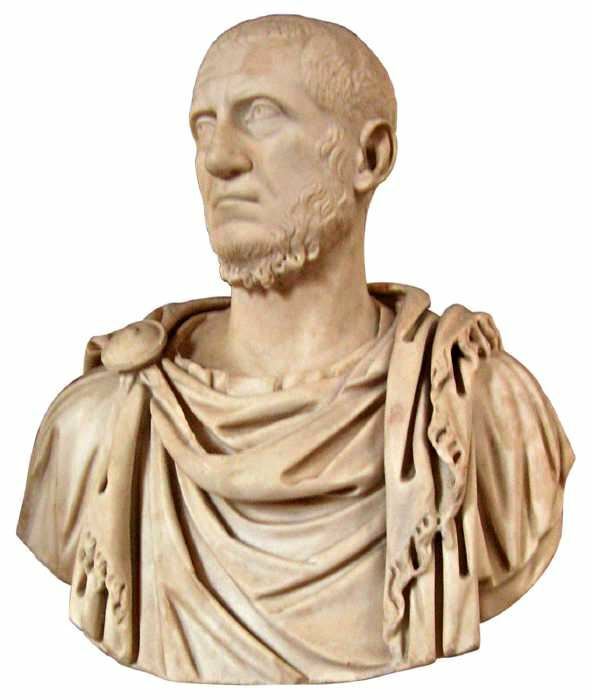 After the assassination of Aurelian, Tacitus was chosen by the Senate to succeed him. This was the last time the Senate elected a Roman Emperor. He died of fever at Tyana in Cappadocia in June 276.